Everyone needs a blender in their kitchen, but not everyone needs a full-sized, high-powered blender permanently sitting on the kitchen counter. For those that live alone, have limited storage space, or just don’t prepare things like icy cocktails very often, a personal blender is a much better fit. Its compact size and specialty containers are perfect for on-the-go types who just want to quickly whip up smoothies, shakes, and dips—and then be on their way. Our favorite personal blender, the Nutri-Ninja Personal Blender (available at Amazon for $48.99), is more than up to those tasks, combining a powerful motor with slender (but not too slender) blending containers for versatility and portability. While we think this Ninja is the best fit for most people, shoppers who are interested in making smoothies and smoothies alone should also consider the classic Magic Bullet Blender, another capable and compact blender that’s built to last. To find out which personal blenders are worthy of turning your favorite ingredients into something magical, we tested seven of the best on their mixing and blending abilities, also taking into account design, speed, noise level, and how easy they were to clean. We used similar criteria when testing the best affordable blenders and best pro-style blenders, but prioritized portability during this round. After producing gallons of fruit smoothie and perfectly-purple yogurt, we knew exactly which products deserved our badge. Here are the best personal blenders we tested, ranked in order. While it was a close race to the top, Ninja’s most basic model of their Nutri-Ninja, the Fit, ultimately earned its place as our favorite personal blender. It’s the Goldilocks of the category: not too big and powerful, not too small and weak, but just right. 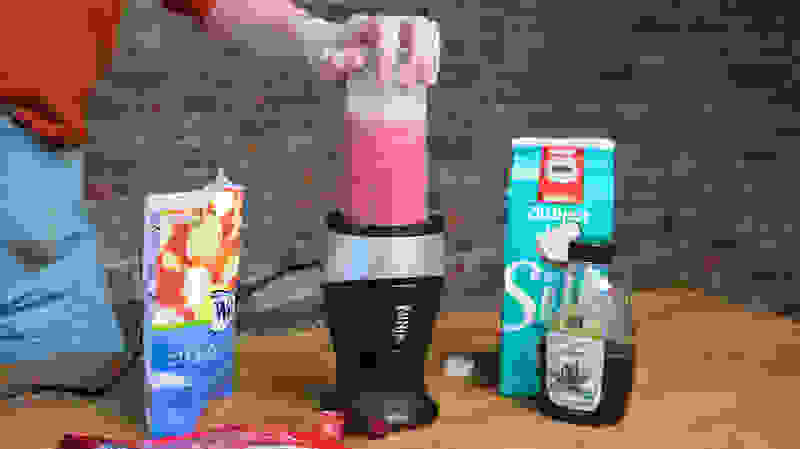 We were impressed by its speed and strength when whipping up fruit smoothies, which turned out smooth as can be, and its 700-watt motor’s relatively low noise level while grinding away. 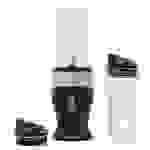 While the blender’s design isn’t visually stunning, it’s black-and-silver base is sleek and unassuming and, most importantly, small and light enough to easily be stored away. The blender’s 16-oz. containers with measurement marks are similarly sleek and perfectly transportable (they come with tight travel lids!) for on-the-go sipping. The Fit requires users to hold the container down or use the “pulse” method while blending, but this precaution works to prevent motor burn-out and means the blender will last longer than many of its counterparts. It’s so fast, you might not even notice. As a proud owner of the Fit for seven months, I can attest to its capabilities throughout daily use (and misuse). I’ve used it to mix up smoothies and shakes, blend butternut squash soup, whip up salad dressing and dips, and even grind granulated sugar into powdered sugar. While I don’t recommend that last one, the Nutri-Ninja Fit has taken everything I’ve thrown at it in stride. If you’re looking for a multi-purpose personal blender that’s portable and powerful in equal measure, this is your guy. If you’re on the hunt for a basic personal blender that will provide your daily smoothie/health shake and nothing else, consider the classic, oft-imitated Magic Bullet. 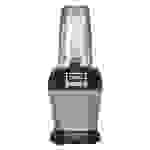 Fast, simple, and very transportable, the Magic Bullet is designed with busy people in mind. 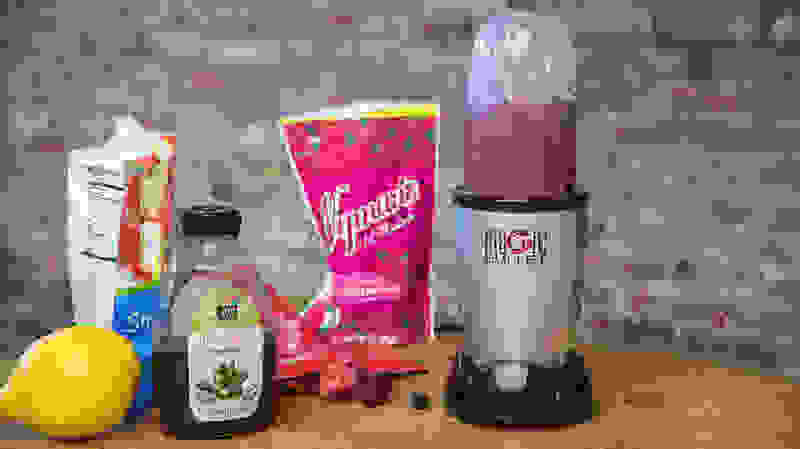 While it only has a 250-watt motor, it’s strong enough to handle frozen fruit and most other ingredients with the appropriate amount of liquid added to the blending container. Throughout testing, the Magic Bullet produced some of the silkiest smoothies with the least fuss. Thanks to their cylindrical shape (no crevices! ), its blending containers were also a breeze to clean. Unlike the Nutri-Ninja, the Magic Bullet can also be turned on and remain on without being held down, an appealing convenience. This blender belonged to one of my housemates, and I used it to make smoothies most days for a full year. For the price, wattage, and functionality, you won’t find anything better. Hi, I’m Cassidy, Reviewed’s kitchen writer, and a recent college grad, which means I’ve basically lived off of small, portable kitchen tools for the past 5 years. Throughout my time in undergrad, I used three of the blenders in this round-up with regularity—the Magic Bullet (which belonged to my housemate), the Hamilton Beach (which belonged to my boyfriend) and our winner, the Nutri-Ninja (my own). I saw them at their best and at their worst, saw them after being misused and brought back to functionality, and saw them on days when I had just enough energy to make myself a liquid meal and continue studying. As a result, I know a lot about the ins and outs of these little appliances, from which containers would leak in my bag to how much liquid you need in each to make them operate smoothly. For this ranking, I wanted to mesh my previous understanding with the new testing-driven numbers and figure out which products should truly reign supreme. In the past, I’ve also tested some of the best affordable blenders using similar methods. Personal blenders are primarily designed to make single servings of smoothies and shakes, so that’s where we focused our testing. I ran each blender through two main tests—mixing brightly colored yogurt and blending up a strawberry-banana smoothie. 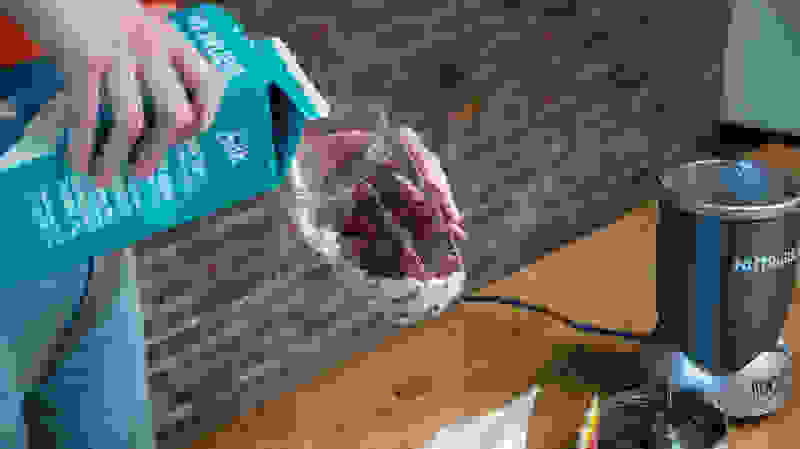 The yogurt test was used as a visual indicator of mixing capabilities, demonstrating the blades’ reach within the container and how quickly the blender could mix distinct red and blue yogurt into a purple union. The smoothie test was exactly what it sounds like—how well can this blender whip up a fruit smoothie? I took into account speed, noise level, and ease of use while the blender was on, and then smoothie quality, lid tightness, and ease of cleaning when all was said and done. When evaluating the blenders and blending containers themselves, I prioritized portability, design, accessories, and wattage, among other factors. 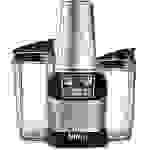 While some blenders were clearly more powerful than others thanks to their higher wattage and larger size, I found that bigger didn’t always mean better—these blenders were usually louder, more difficult to clean, and had high-reaching blades that couldn’t handle small amounts of liquid. To me, the ideal personal blender should be distinctly smaller and more portable than its full-sized counterparts. What’s the point of keeping a large blender base on your counter if you only want to make a 16-ounce smoothie? 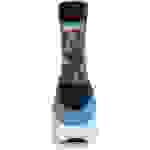 Personal Blender, Immersion Blender, or Full-Sized Blender? While this ranking focuses on personal-sized blenders, there's also your immersion blenders (not to be confused with immersion circulators) and regular full-sized blenders to consider. If you're not already a kitchenware connoisseur, you're probably wondering, "Why are there so many types of blenders? Are they actually that different? Do I need to own every single one?!" The answer to that last question is no, you don't necessarily need all three. When it comes down to it, they all use the same mechanics to blend, mix, and pulverize food and drinks into whatever form you choose—but choosing which blender for your kitchen will make life a lot easier. Full-sized blenders are great for making icy cocktails, health smoothies, milkshakes, and other drinks for more than one person at a time. High-end models, like our favorites from Breville and Vitamix, can also be used to make soups, dips, nut butters, and other tricky foods. Most people have some kind of this blender sitting around their house, and they're the ideal choice for larger households and people who like to entertain. Personal blenders, however, are ideal for individuals or couples who rarely need to blend a lot at once—they've exploded in popularity since everyone started juicing and making health smoothies for those post-gym vitamins. They're easier to store, clean, and transport than full-sized blenders, and their containers are ideal for on-the-go sipping. If you're looking for a quick blending solution and don't need to make a lot of anything at once, you can probably forgo a full-sized blender in favor of a personal one. Immersion blenders are the odd-one out, but they're still incredibly useful. Also called hand blenders, their wand construction and lack of blending containers make them portable, simple, and perfect for hot foods. I use mine to make pesto, whip up homemade mayo and whipped cream, and blend butternut squash soup. If you're like me and enjoy cooking but aren't trying to feed a family or outfit a full kitchen, pairing an immersion blender and a personal blender can help you cover all your blending bases without taking up too much room. The NutriBullet belongs to the same family as the Magic Bullet, and their relationship is obvious from appearances—the NutriBullet is essentially a larger, prettier Magic Bullet, branded for its special “nutrient extraction” capabilities (let's be real, it's just a blender). 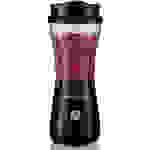 It’s a great multi-purpose personal blender that’s hugely popular online, and it ran through our tests without an issue. Unfortunately, its wide containers, heavy base, and flimsy travel attachments kept us from awarding it the top spot on this list. If you’re looking to make a lot of smoothie at once and drink it around the house, the NutriBullet is a good option—but if you plan to take the cups with you on the go day after day, you’d be better off with a more travel-friendly blender. And don't be fooled by claims of its superiority in extracting nutrients—put the same ingredients in any of these top-performing blenders, and you'll get the same results. By far the most advanced personal blender on this list, the Nutri-Ninja Auto-iQ Pro Complete adapts to multiple jar attachments, mixing and pulsing to your desired consistency in each with the push of a button. It’s a funny-looking, futuristic blender with a massive base, much closer to a full-sized blender than a personal one. While it performed well in most of our tests, it left our smoothie frothy and borderline warm after a pre-programmed minute of blending. It also omitted a burning rubber smell on first use, and its blades sat too high to reach the small amount of yogurt I added during our initial mixing test. One of my coworkers (who runs marathons!) swears by her older model of the Auto-iQ, so we don’t think it’s a bad product. That being said, the base is unnecessarily large and complex for a personal blender. The newest model has a full-sized blending container attachment, so it’s worth checking out if you’re interested in a machine that can do both—but if you want something that won’t take up much space, don’t bother. The Oster MyBlend looks like someone stuck a Gatorade bottle on narrow blender base—it’s clearly designed to appeal to fitness fiends who are used to shaking up pre- and post-workout drinks in these kind of bottles. Due to their narrow openings, I found the containers difficult to fill and clean, and their tinted colors make them look dirty even when clean. And while the Oster churns out a decent smoothie, it’s extremely loud when starting and stopping, so much so I was afraid something was wrong. It’ll do the job for a low price, but seems unlikely to stand the test of time—and you’d be better off with a less difficult product. Like the Auto-iQ and the NutriBullet, the Nutri-Ninja Pro is a large, powerful blender with misplaced energy. It’s the oversized version of our winner, the Nutri-Ninja, accommodating 24-ounce instead of 16-ounce containers. Like those of the Auto-iQ, its blades sat too high in the blending container to reach the initial amount of yogurt we added for the blending test. Its heavy, wide base houses a 900-watt motor strong enough to pulverize frozen fruit and the rest for smooth drinks, but it comes at the cost of counter space and portability. If you want a personal blender this big, you should really just buy a standard blender, or a hybrid with smaller jar attachments—there’s nothing personal or portable about 24 ounces of liquid food. These containers are not friendly for cup-holders or hands. This tiny plastic Hamilton Beach blender doesn’t have the inverted design common to the rest of the personal blenders on this list—rather, the blades are built directly into the base of the blending container, as they are in most full-sized blenders. While this doesn’t speak to its actual capabilities, it makes drinking out of the container directly an odd experience—and it means there are zero replacement parts available to you if you lose or break something. Throughout testing, the Hamilton Beach got the job done, but couldn’t produce as smooth of smoothie as the competition. Its blending button feels flimsy and breakable, and I can say from my own experience (my boyfriend owned this exact model) that the motor doesn’t last very long. Ultimately, it’s the cheapest blender on this list, in more ways than one.